Ultimate Skin Spa Facial Cleansing System – Just $29.99! Thinking about trying something new to improve your complection? How about this deal? Its dual-speed brush handle lets you opt for a gentle or thorough cleaning with the interchangeable daily cleansing and exfoliaating fce brushes. 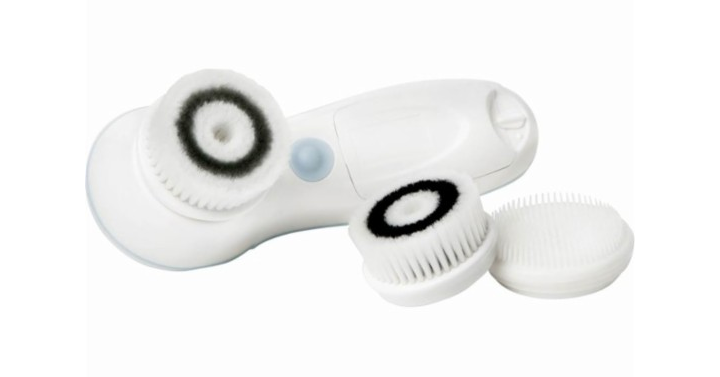 The silicone face brush of this Vanity Planet Ultimate Skin Spa system is suitable for dry, sensitive parts of the skin. Get on over to Best Buy and check out the deal on the Ultimate Skin Spa Facial Cleansing System! Just $29.99 – today only!